How to become a surrogate and turn family dreams into reality. Becoming a surrogate mother changes more lives than those of intended parents – it changes yours, too. Become a surrogate and give hope to intended parents. There's nothing quite like bringing a baby into this world. And for intended parents who planned on having a family but are unable to on their own, surrogate moms restore their hope and optimism about parenthood. 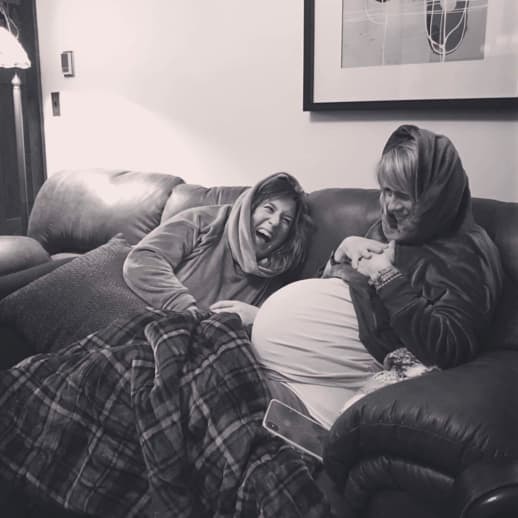 The delight that our surrogates feel is so special that many return to Circle for second and third surrogacy journeys! Match with intended parents​ who are right for you. Being a surrogate mother is an extremely intimate experience. To ensure you feel entirely confident and comfortable during your journey, our matching manager shares profiles of intended parents who share the same aspirations as you, and who are good matches for you legally. We've found this to be essential in creating a positive, joyful experience for both parties. You get careful planning, guidance and support with our surrogate services. At every stage of your surrogacy journey – from the fertility process to pregnancy, delivery and post-delivery – you'll have the support and guidance of our experienced social workers and program coordinators. Plus, many women who work at Circle are experienced surrogates, who have been in your shoes and can answer any questions. Here are the requirements to become a surrogate. • Has delivered a child of her own, and is currently parenting at least one child. • Has had uncomplicated pregnancies and deliveries, as documented by medical records. • Is between 21-41 years of age. • Typically have a Body Mass Index (BMI) of no higher than 33. Calculate My BMI. • Is a citizen, legal resident or legal immigrant of the United States. If a surrogate is a legal resident or legal immigrant of the United States, the surrogate must be able to provide documentation that is valid for at least 2 years. • Does not participate in the following government aid programs: cash assistance, welfare, public housing and section 8. All other forms of government assistance will be considered on a case-by-case basis. 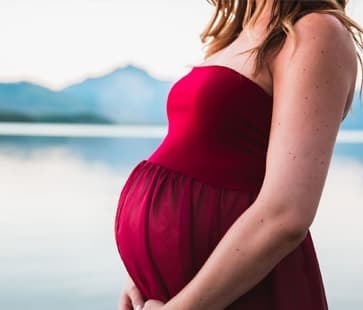 • Lives in a surrogate-friendly state in the United States (we are very sorry but we cannot accept gestational carriers who reside in Nebraska, Louisiana, Michigan or New York). • Has a valid driver’s license. • Has the support of her family. If married or partnered, the surrogate must have her partner’s support. Also, the surrogate and her partner/primary support person must agree to participate in a social work screening. • Leads a stable, responsible lifestyle. • Is willing to travel for IVF process. Please note, often these trips include overnight stays. • Does not use illegal drugs, smoke cigarettes, or abuse alcohol. As you consider surrogacy, you may have questions along the way. With many experienced surrogates on staff, we've helped women navigate their surrogacy journeys successfully, and have answered almost every question out there! Circle offers the most comprehensive compensation and benefits of any agency. While surrogate compensation varies depending on your insurance, state of residence, and surrogacy experience, Circle works with each and every woman to help customize her benefits to fit her journey and needs. ​What is the difference between gestational surrogacy and traditional surrogacy? ​Why should I choose working with an agency versus going independent? We believe working with an agency is to your advantage as we provide full support and guidance throughout the entire process. All aspects of the surrogacy process are handled by our team, from matching, to screening, to legal work, to social work support. This enables us to handle any challenges that may arise, so that you can focus on your pregnancy, and building a relationship with your intended parents. ​Why should I choose Circle Surrogacy? Take the first step in becoming a surrogate mother with Circle Surrogacy.